Great for Cosplay, Comic-con conventions, Role play, Themed party, Birthday party, Dress-up, Halloween, Christmas, New Year,Carnival. 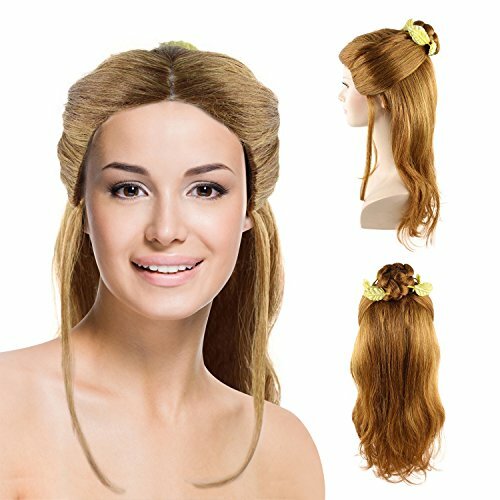 With this wig and your party will be a hit ! This costume wig is made of 100% high quality heat resistant synthetic fiber. Breathable, natural looking and soft to touch . Durable, heavy hair for long time use. Easy to wash and care by hand-washing in cold water, hang and dry it naturally and do not use curling irons or kits.